We made a donation to the Sangdo Community Center, located in Dongjak-gu and participated in community volunteering activities. 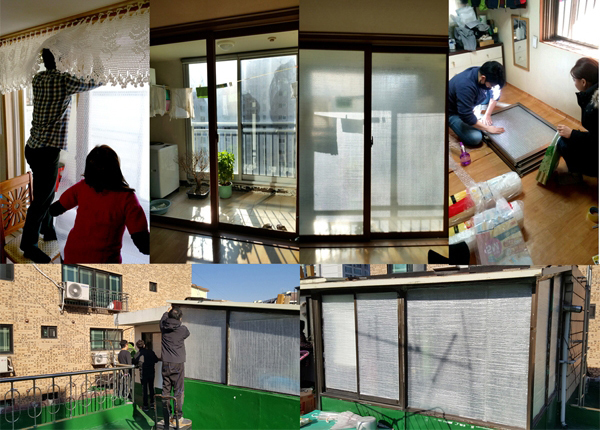 We went to the low-income households living in Sangdo 1,2-dong and attached the insulating air cap to the window, and cleaned the house. Our body got cold and even got tired of the work, but the heart was full of warmth. ESCO hope the neighbors around us to keep off the cold in winter. And we hope we would bring warmth and love to others every year.